ALDEA MEDIA CLOUD brings you all components of the end-to-end video delivery ecosystem. Aldea provides the global scale, technology, flexibility and ease of use for any Live Streaming use case, with audiences of any size. Leveraging its global network strength, Aldea can aggregate content from anywhere in its global network and provide customized content delivery solutions, both VOD and Live, for the dynamic Over-the-Top (OTT) environment. 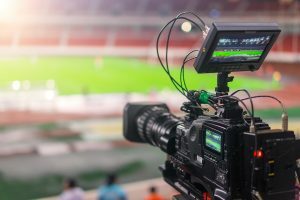 From any location where content is created, Aldea’s extensive network and connectivity options, including sports venues and temporary event sites, facilitates the ingest of LIVE STREAMS, with the highest quality and minimum latency. Aldea Media Cloud services incorporate a full range of transcoding and muxing services. They are built on Aldea’s own high performance, high availability and scalable equipment and software platform. Aldea transcoding services enable generation, transport, and manipulation of virtually all stream formats from UDP to RTMP, along with the creation of multiple profiles, under different bitrate and screen resolutions for ABR (Adaptive Bit Rate) applications. We support, among others, the following stream formats: UDP/RTP, RTMP, HLS, MSS, MPEG-DASH. Aldea’s managed delivery incorporates origin server and CDN services, as well as gateway to all major commercial CDNs, including platforms such as YouTube, Facebook and Twitter. Providing the capabilities to do multi-format, multi-screen and multi-device viewing.